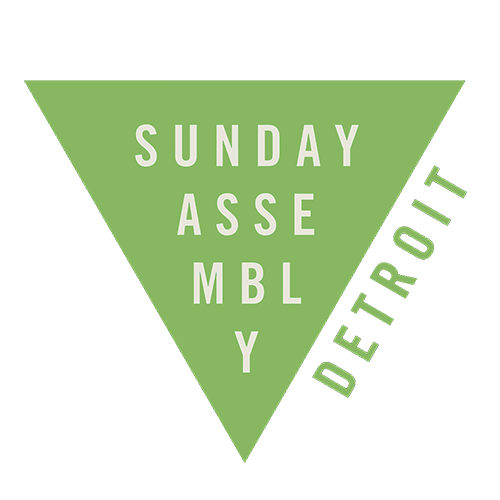 Sunday Assembly Detroit is a secular community that meets monthly to hear great talks, connect for service projects, sing songs and generally celebrate life. Assemblies are free to attend, and everyone is welcome. The second Sunday of every third month followed by a social period and lunch. We’re moving our assembly to new locations so that we can reach more people. Our assemblies take place on the 2nd Sunday of each month. We hope to create an energetic, inspiring community atmosphere featuring a live band, sing-a-long music, an engaging lecture, with treats for all to share, in a family friendly, secular community environment. There will be coffee, tea and doughnuts before and after the assembly. Families with children are encouraged to attend! We won’t won’t tell you how to live, but will try to help you do it as well as you can. Contact us or just come and join us at an assembly!